At Horse Tack Now you will find all kinds of Saddle Pads and horse tack products. You can see the comfortable design of this item in the image above. Treat your horse with a English Saddle Pad and go for a ride today. This product is designed to last for numerous years to come even when used on a daily basis. 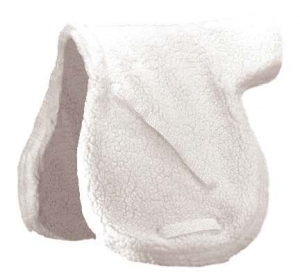 This All Purpose Fleece Bottom English Saddle Pad features a billet and girth straps to keep the saddle secure.